We have now drawn the oral history collection phase of the project to a close. However, if you feel you have a particularly key story to tell about the history of Women’s Aid in Scotland please get in touch with Glasgow Women’s Library. 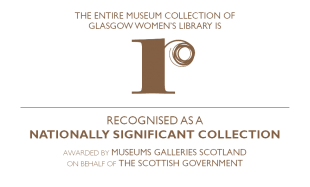 This project was funded by the Heritage Lottery Fund, and is a partnership between Scottish Women’s Aid, Glasgow Women’s Library, the Glasgow University Centre for Gender History and Women’s History Scotland.